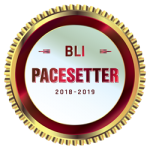 Keypoint Intelligence – Buyers Lab (BLI) has announced the winners of the Buyers Lab PaceSetter awards in Ease of Use: Enterprise Devices. 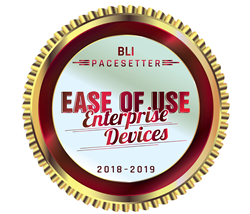 Based on research conducted on the enterprise market and testing in the BLI lab, these awards recognise the OEMs that have incorporated end-to-end ease of use in the design of enterprise devices. 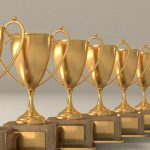 The dedication to ease of use by Canon is apparent in all areas of the MFP examined in this study. Canon’s control panel was ranked extremely easy to use and offers several customisations through presets, screen design, and favorites. Users can also store 60-plus personal and shared buttons to further streamline scan and copy workflows. This same control panel is available across the line, meaning employees moving around the organisation will lose no time recognising processes at the MFP. Job management was one area where Canon stood out from the industry, allowing urgent jobs to be easily prioritised and modified. 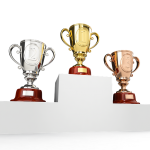 In the enterprise environment where one user may be making simple copies and another user may be printing a multimillion contract, simple and efficient job management help enterprises work efficiently and effectively.